Cubchoo in game: 4,381 Who? Important notice! Pokemon Cubchoo is a fictional character of humans. 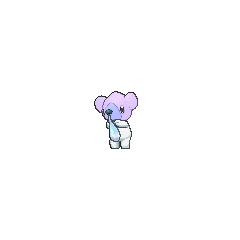 Cubchoo (Japanese: ????? 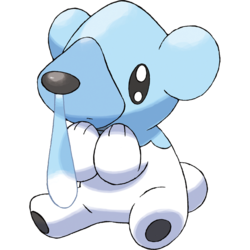 Kumasyun) is an Ice-type Pokémon introduced in Generation V.
A group of Cubchoo appeared in The Beartic Mountain Feud!. Ash and his friends found a member of the group injured. Later in the episode, they returned it to its sleuth. 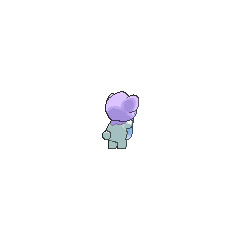 A Cubchoo appeared in The Mystery of the Missing Cubchoo! under the ownership of Chris. A photo of a Cubchoo appeared in The Four Seasons of Sawsbuck!. A Cubchoo appeared as a mask for the festival in Capacia Island UFO!. 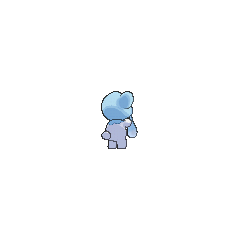 A Cubchoo appeared as a plush toy in A Jolting Switcheroo!. 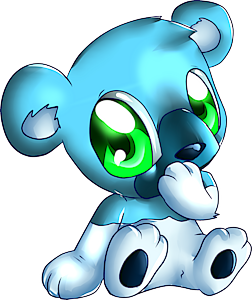 A Cubchoo appeared as the partner Pokémon of a Pokémon Performer in Party Dancecapades!. Three Trainers each owned a Cubchoo, which appeared in The First Day of the Rest of Your Life!. When White was trapped in the Rondez-View Ferris Wheel by N and forced to challenge his point of view, she told of how her Pokémon Musical idea was inspired by an event in her past, in which a Cubchoo joined the dancers on stage during a theater performance she saw. Kumasyun may be a combination of ?? kuma (bear) and ???? kushun (onomatopoeia of a sneeze). Mandarin Chinese ??? / ??? Pentìxióng Literally "Sneezing bear"